We all know our curls are an amazing gift, but they can sometimes get a little out of hand. If you're looking for some tips and tricks on how to control your curls, we've got you covered! 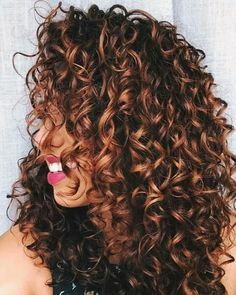 Having a few ideas and suggestions in your curl care toolbox will make your regime much easier and your daily life with curls even more fabulous. Dry and damaged curls: For help with damaged or dry curls, reach for that olive oil in your kitchen. Apply a generous amount of oil to your curls working in downward strokes, then allow to sit overnight. The olive oil will replace some of the nutrients and moisture your curls may have lost. Understyle: For stressed curls, consider cutting back on heat tools and over styling. As often as you can, allow your curls to air dry and avoid overuse of protective styling. If you have to use heat to style, make sure to utilize protective products. Prevent breakage: Breakage is a curl's worst enemy. To avoid harming your curls, make sure your hair is completely saturated before beginning to shampoo. Use a small amount (about a quarter) and suds it up in your hands before applying. Work through your curls gently, and avoid pulling or tearing any tangles. Use your fingers and some conditioner to carefully work through knots. Protect your curls: Make sure when you're showering to turn down the hot water and wash only in cool or lukewarm water. Hot water strips curls of their moisture and essential nutrients, thus making them more prone to breakage. Hot water can also irritate your scalp, which can create damage and lead to dandruff. Stay chill: If you're under an immense amount of stress, your curls can be directly impacted. Make sure you're taking good care of your body, mind and emotions by keeping stress to a minimum. This also includes drinking lots of water, getting plenty of rest, eating well and exercising.